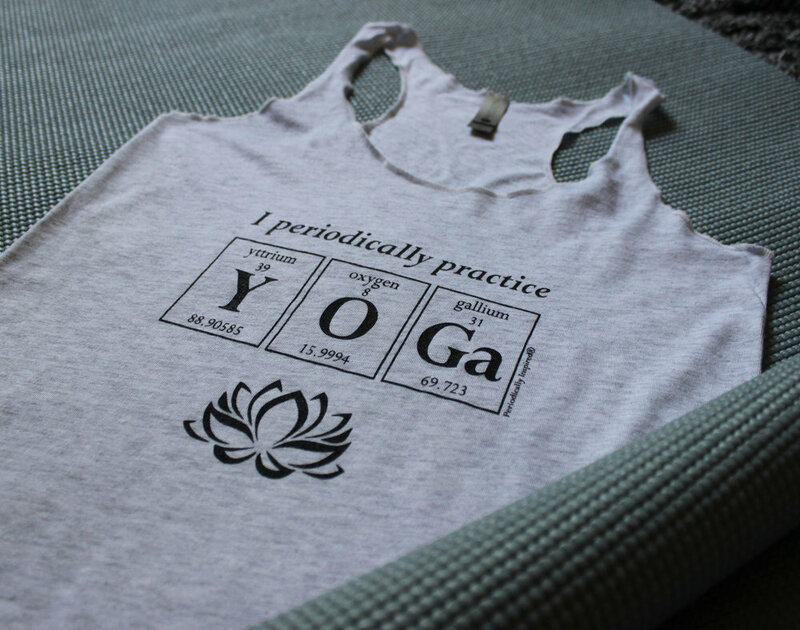 The I PERIODICALLY PRACTICE YOGA triblend tank is inspired by The Periodic Table Of Elements! What makes you periodically practice YOGA? ★ Y. Yttrium is rarely seen in pure form and has no applications as a metal. Yttrium-aluminum-garnet (YAG) is important in lasers and yttrium is also used in the phosphors of color television sets (the old CRT kind). ★ Ga. Gallium is predominantly used in electronics such as microwave circuits, high-speed switching circuits, and infrared circuits. Gallium is also used in the production of artificial gadolinium gallium garnet for jewelry.